These two video clips were filmed during a Plapla Pinky rehearsal, before the performance of Raver Stay With Me at the Toulouse International Organ Festival on October, the 10th. Music, heard on both of these clips, can be found on the Appel EP, out on Plapla Pinky’s own Choral Records. 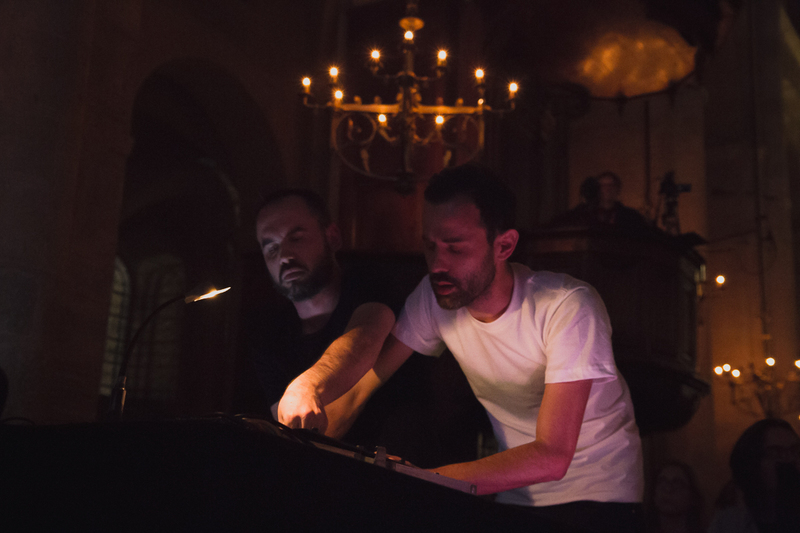 The recording, as well as the live performance, is a result of experimentation with the organ of the Eglise du Chant dʼOiseau in Brussels, Belgium – yet, it also shows the influence of Rave anthems of the early nineties. Plapla Pinky are the French duo of Maxime Denuc and Raphaël Hénard, working between Paris, Brussels and Bucharest. For the Raver Stay With Me project, they are joined by organ player Cindy Castillo. The trio’s performance at Toulouse Les Orgues was organized in collaboration with Les Siestes Electroniques.